How Much Might DATA Cost to Acquire? Since there hasn’t been a formal announcement from CRM management regarding acquisition efforts, all we can do is speculate and hypothesize. With that in mind, let’s consider a possible purchase price for DATA. The quick and easy back-of-the-napkin method is to assume a 20% premium over current market cap. Presently, Tableau’s market cap sits at $3.6 billion, so our cocktail napkin mathematics tells us that Salesforce could expect to pay about $4.32 billion to acquire its competitor. It’s simple, to the point, and doesn’t take into consideration any possible or likely concessions and negotiations. Still, it’s a — very — rough starting point. As of this writing, the enterprise value for DATA stock is $2.8 billion. That means Salesforce could realistically expect to pay a price close to that to acquire Tableau. 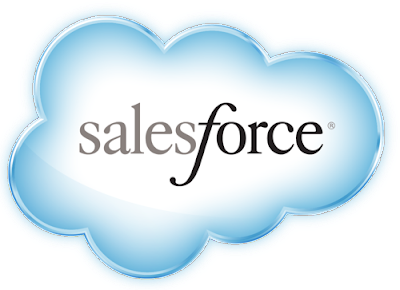 Even if shareholders of both CRM stock and DATA stock would likely vote to approve the acquisition, Salesforce simply doesn’t have enough cash to make the purchase. As of the quarter ending in July, Salesforce had just over $1.1 billion in cash on the books. If CRM was to acquire DATA for a total of $3 billion-$4.5 billion (based on the range from our cocktail napkin calculations above), management would first have to raise enough capital to complete the transaction. And of course, that means debt — more than $2 billion worth of it. CRM shareholders would have to consider the potential long-term value of the DATA acquisition alongside the negatives that come with carrying an additional $2 billion of debt, which would bring Salesforce’s total liability somewhere between $7.5 billion and $9 billion. Ultimately, though, even a financed purchase of Tableau would likely be a wise decision with long-term benefits for Salesforce and CRM stock. These companies are currently two of the top competitors in the cloud computing arena, and a merger would create a sizable and formidable contender that capitalizes on their synergies.